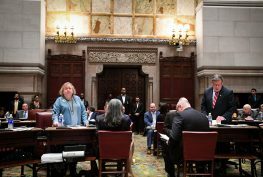 New York – Today, in an op-ed published in the Albany Times-Union, Senators Liz Krueger and Anna Kaplan outline the impacts of the recently-passed Reproductive Health Act, and refute false claims that the RHA expands abortion rights far beyond those defined in Roe v. Wade. Since the Reproductive Health Act was signed into law on Jan. 22, we have seen a steady stream of misinformation and falsehoods that only serve to intensify the misunderstanding around this important law. 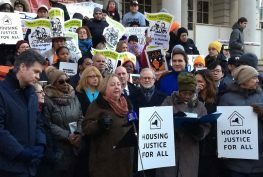 As state legislators, we feel it is important to clarify what the RHA actually does. The RHA has three primary impacts: it codifies Roe v. Wade protections into state law, it clarifies who can provide abortion care, and it removes abortion from the penal code and places it in the public health code with all other medical procedures. 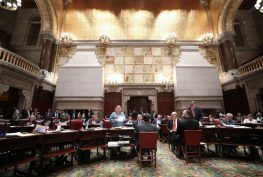 New York state’s original abortion law, enacted in 1970, legalized abortion up to 24 weeks of pregnancy, or after that point only if a woman’s life was at risk. In 1973, Roe v. Wade legalized abortion up to 24 weeks or after that point if a woman’s health or life was at risk or if the fetus was not viable. 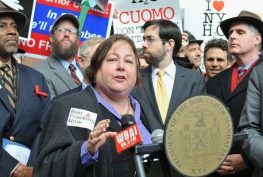 Since Roe, New York law has not been aligned with federal law. Because of this, New York medical providers have refused to provide abortion care for women whose health was at risk, or who were carrying a nonviable fetus, because they feared being penalized. This has meant that a woman in New York who experienced serious health conditions past 24 weeks of pregnancy, and required an abortion, was forced to travel out of state — if she could afford to. Claims that the RHA goes beyond Roe v. Wade are simply not accurate. 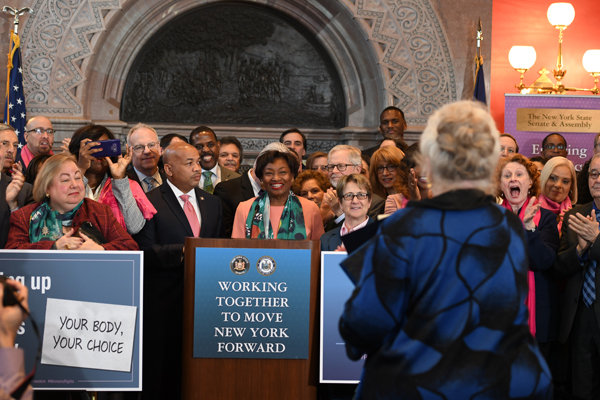 Thanks to the RHA, New York law finally conforms to federal law as laid out in Roe and protects access to safe, legal abortion care after 24 weeks in the case of a risk to the life or health of the mother, or a nonviable fetus. The RHA also updates state law to reflect contemporary standards of medical practice. In 1970, physicians were the only health care providers established in state law. Since then, there have been great strides in medicine. Advanced practice clinicians, including physician assistants, nurse practitioners and licensed midwives, are now established in law and perform a range of medical services. Regulatory agencies and medical experts had previously determined that, with the appropriate education and training, these highly skilled professionals are qualified to perform the kinds of abortion care that fall within their scope of practice. Abortion is very safe, but health care providers must follow medical standards of practice and the public health law in order to ensure patient safety — just as they would when providing any other medical service. Assertions that the RHA will put women’s safety at risk by allowing nonphysicians to provide abortion care are false. The RHA does not authorize any health care providers to perform abortions who are not qualified to do so. Finally, the RHA removes abortion from the penal code, treating it just like every other medical procedure. This has led to accusations that the RHA eliminates the ability for victims to seek justice when a violent crime causes the loss of a pregnancy. This is yet more misinformation. Physical assault resulting in the loss of pregnancy qualifies as first-degree assault, which carries a penalty of five to 25 years, far more than the previous sentence for “unlawful abortion.” Furthermore, judges have discretion to increase the penalty in cases where the crime was particularly violent. The RHA does not prevent appropriate charging and sentencing of violent perpetrators. Abortion is health care. The decision about whether to have an abortion involves a complex weighing of a woman’s unique circumstances, her medical needs and her private morality. That is why it must be made by a woman and her health care provider alone — not by the government. That is the reality acknowledged in Roe v. Wade, and now, because of the RHA, it is finally reflected in the laws of New York state.